Tess loves math because it's the one subject she can trust—there's always just one right answer, and it never changes. But then she starts algebra and is introduced to those pesky and mysterious variables, which seem to be everywhere in eighth grade. When even your friends and parents can be variables, how in the world do you find out the right answers to the really important questions, like what to do about a boy you like or whom to tell when someone's done something really bad? Will Tess's life ever stop changing long enough for her to figure it all out? Wendy Lichtman writes personal essays for the Washington Post, New York Times, San Francisco Chronicle, and Good Housekeeping, among other national publications. She has also written four previous young adult novels, including Do the Math: Secrets, Lies, and Algebra. She holds a degree in mathematics and has tutored public-school students in algebra for several years. 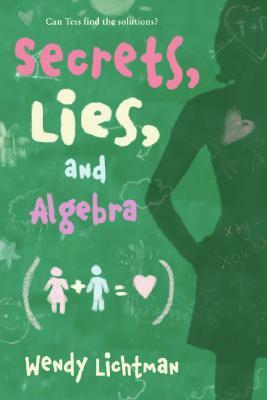 When she decided to write about a teenage girl who realizes that some questions have more than one right answer, algebra, with its unknowns and variables, seemed a perfect metaphor. Wendy Lichtman lives in Berkeley, California.